Where to set up my exportation? Go to « Settings » . Proceed to the « Time and Attendance » tab (see orange square). Click on the « Integrations » tab (see orange arrow). Click on the grey button « Manage » that corresponds to Nethris. First, log in to Nethris. 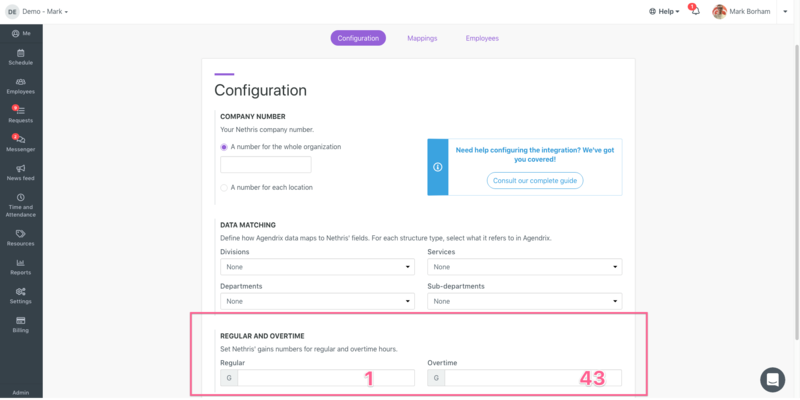 If you only have one location, select « One number for the entire organization » and enter your company number in the appropriate space (see pink box). 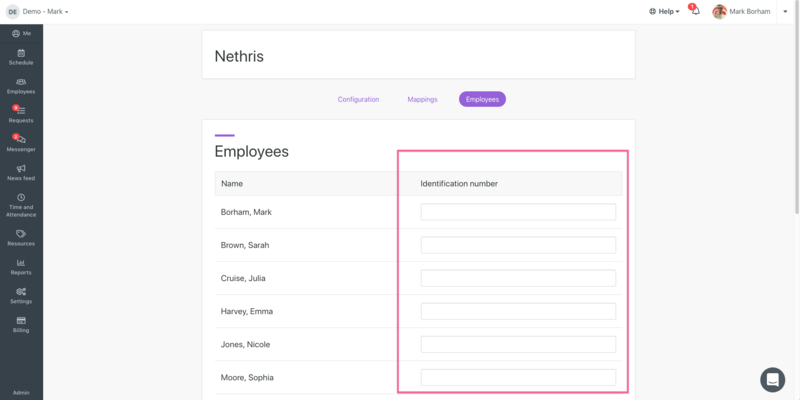 C) How to get the complete list of my earning codes in Nethris? 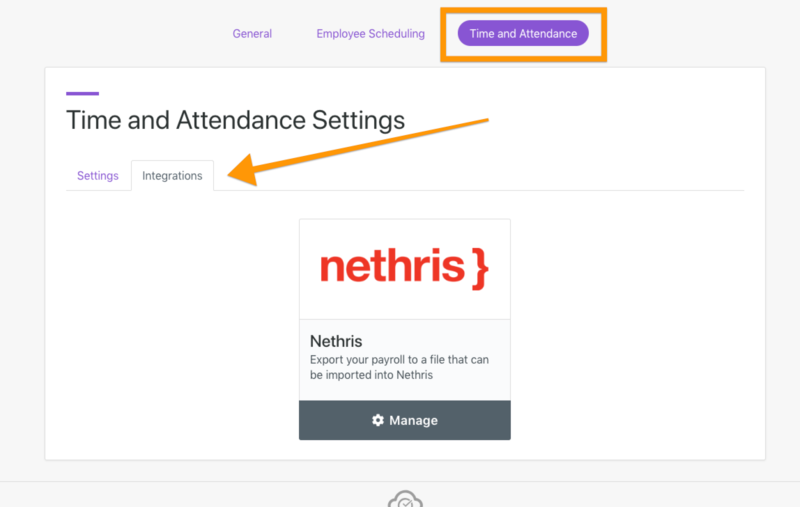 Once completed, you will be able to export your timesheet in Nethris format. Here is an article that explains How to Export My Pay Into Nethris?